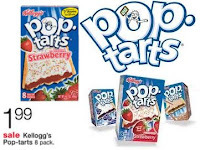 Pop-Tarts only $1.66 a Box! Pop-Tarts are on sale this week at Walgreens. Use this coupon to get a pretty good deal on them!